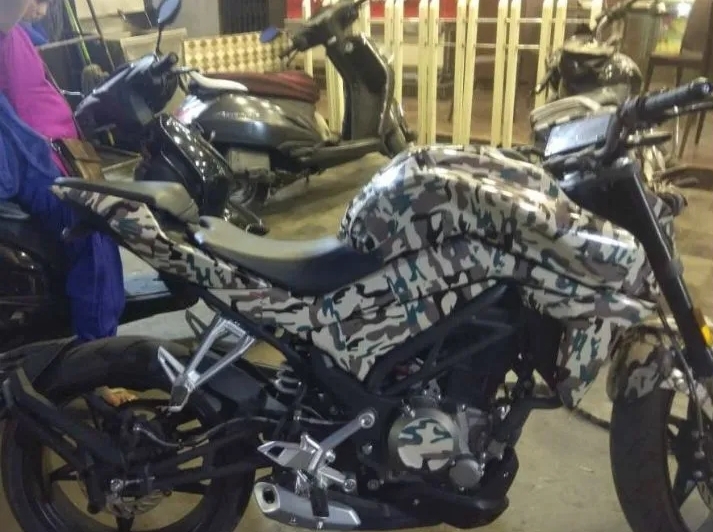 The CFMoto 250NK has been spotted in India as the Chinese brand is preparing to make a second attempt to enter the market. The 250NK is a naked roadster that packs a premium list of hardware. The fascia, for example, gets a full-LED headlight. The blinkers are all LED too, and so is the tail light. The cockpit features a large TFT display that can be customised to appear in different pre-set layouts. Integrated sensors adjust the screen based on the light intensity. The fuel tank gets a sharp design and a dual tone finish. The fuel storage capacity is decent too and the 250 NK can hold up to 12.5-litre of fuel. A pair of shrouds adds a muscular look to the package. The shrouds also act as protectors for the liquid-cooled radiator. The saddle features a sporty, step-up layout along with split seats while the passenger grab rails have been integrated into the rear panel for a cleaner look. The rear tyre hugger mounted number plate further contributes to the minimalistic look to the rear. A sporty engine cowl in black finish adds a neat contrast to the package. Underbelly exhaust looks tidy too. The motorcycle is built around a trellis frame and uses a steel swingarm. The design of the swingarm gives the 250NK a unique look as compared to the existing quarter-litre motorcycles in the Indian market. Speaking of looks, the motorcycle does seem to take inspiration from European and Japanese products and the images of the 250NK remind us of the KTM Duke range and the Yamaha YZF-R15 V3.0. It should be noted that KTM AG had entered a joint venture with CF Moto in October 2017 to expand its market presence in China. The joint venture is called CFMoto-KTMR2R and CF Moto holds the majority stake while the Austrian brand gets 49%. Mechanical specifications include a 249.2 cc, single cylinder, Liquid cooled, 4-valve, DOHC engine with a balance shaft and fuel injection. The performance numbers are at par with the KTM 250 Duke as the motor on the 250NK makes 26.5 PS of power at 9,000 rpm and 22 Nm of peak torque at 7,500 rpm. The engine is paired to a six-speed gearbox although the spec sheet does not mention a slipper clutch. Hardware setup includes upside-down telescopic forks at the front and a monoshock at the rear. Stopping power comes from disc brakes. Expect to see a dual-channel ABS handling the safety department. The 17-inch alloy wheels get a star-like spoke design and are wrapped in a 110/70R17 tyre at the front and 140/60R17 unit at the rear. 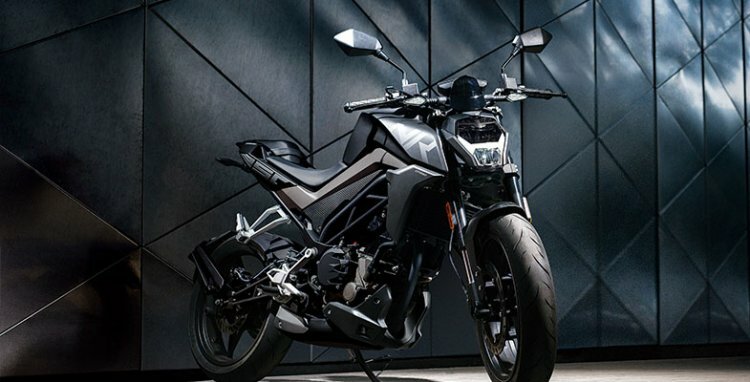 Globally, the motorcycle is sold in two colour options – Nebula Black and Silver – and India bound models would most definitely receive the same. In terms of rivalry, the CFMoto 250NK would compete against the likes of the KTM 250 Duke, and thus we expect to see sub-INR 2 lakh ex-showroom Delhi prices. Anything above that could turn fatal for the product in the cost-conscious Indian market. In the same price range, the 250NK would also come dangerously close to the Bajaj Dominar 400 that gets a larger engine, and from 2019, comes equipped with upside-down telescopic forks. The motorcycle features premium hardware that includes full LED lighting, TFT display, and upside down forks among others. The motorcycle would compete against the likes of KTM 250 Duke. The launch details are scarce at the moment. Given that the motorcycle was seen with full camouflage, we do not expect to see the 250NK in India before the second half of 2019. With that kind of timeframe in mind, CFMoto would most definitely introduce the motorcycle with a BS-VI compliant motor.